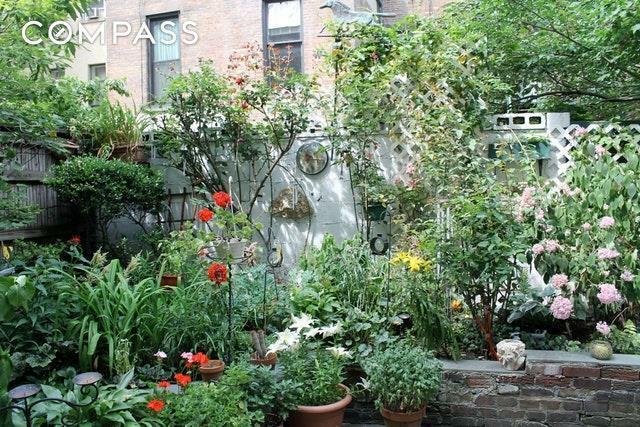 Garden Lovers Delight on a Fabulous Park Block!Forget that you live in bustling New York City in this lovely, quiet 1-bedroom brownstone apartment with a charming sunroom and 400 square feet of private garden space, seconds from Central Park. 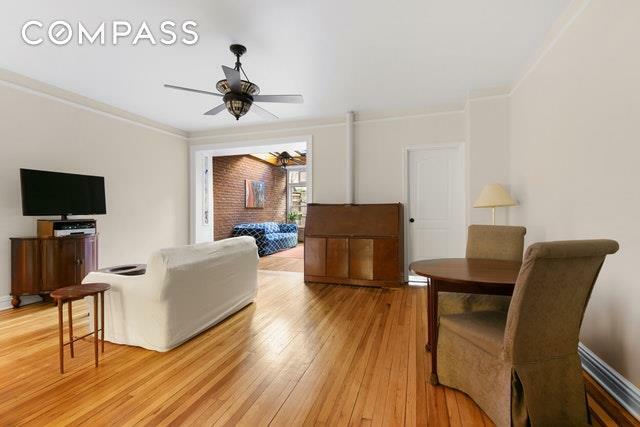 This wonderful home boasts an oversized living room, easily accommodating a separate dining area and office space. The kitchen is generously appointed with ample storage and counter space, and full-sized stainless steel appliances.Spend hours reading and enjoying your morning coffee in the four-season sunroom, brightly lit with skylights, and framed by rustic wooden beams and exposed brick. Enjoy looking out onto your lush garden oasis that provides the perfect setting for romantic dinners, entertaining guests, and enjoying the summer sun while planting your own vegetables and flowers. 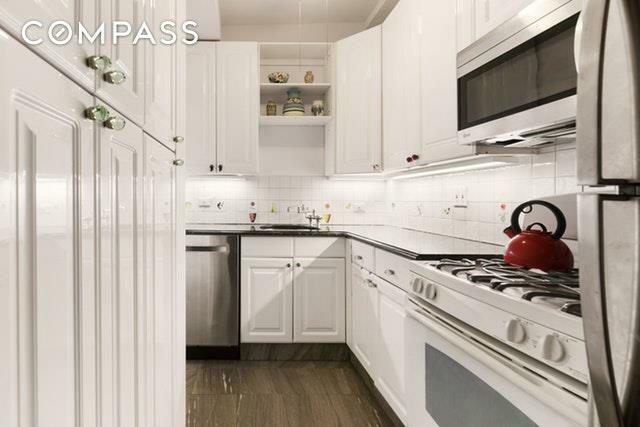 Additionally, the apartment includes a large storage cage measuring approximately 427 cubic feet. The best of Manhattan living is all around you in this unbeatable neighborhood, filled with great restaurants, cafes, shopping, gyms, the American Museum of Natural History, and the Hayden Planetarium.Getting around town is effortless Just moments from Central Park, B/C & 1 Subway Lines, and M86 Crosstown, M7, M10 and M11 buses. 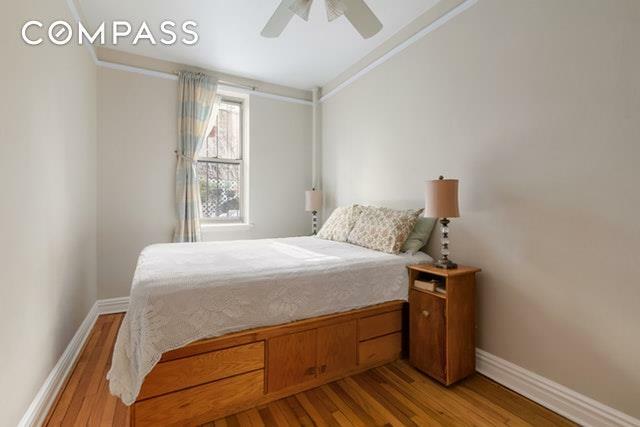 35 West 87th Street is a well-maintained, 10-unit pre-war brownstone co-op with laundry and private storage units in the basement for all shareholders. No pied-a-terres or dogs allowed. Listing courtesy of Wendy Harrison of Compass.